Moviewall - Movie Posters, Wallpapers & Trailers. : Trust the Man. 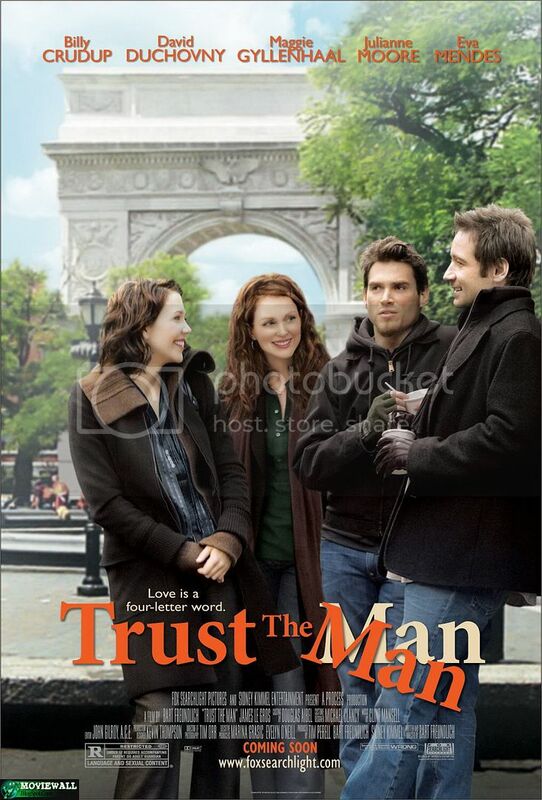 A smart, sophisticated comedy about the challenges of love and marriage among modern day New Yorkers, "Trust the Man" features the romantic escapades of two couples: a successful actress (Julianne Moore) and her stay at home husband (David Duchovny); and her slacker younger brother (Billy Crudup) and his aspiring novelist girlfriend Maggie Gyllenhaal). 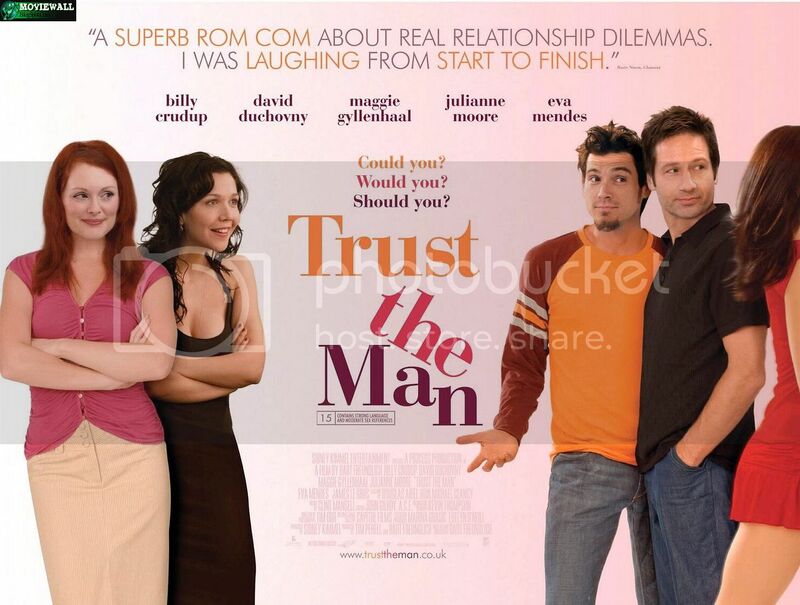 The film follows these four on their pointed, often surprising and frequently hilarious search for love in the midst of careers, family, infidelity and the ever-daunting search for Manhattan street parking. 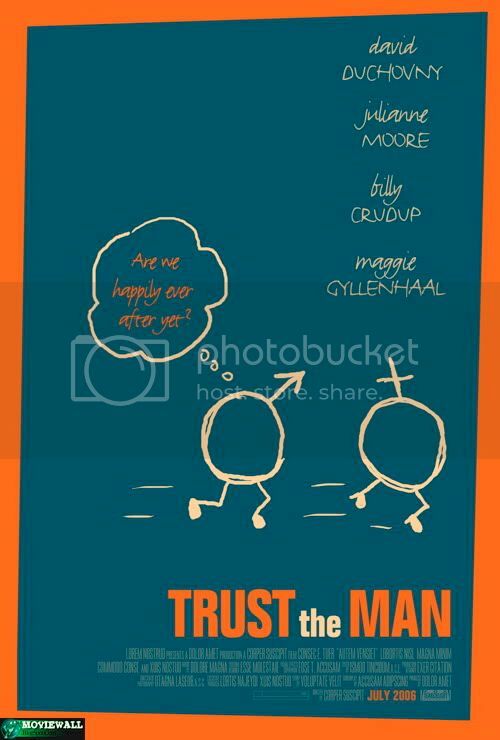 Movie Title: Trust the Man. 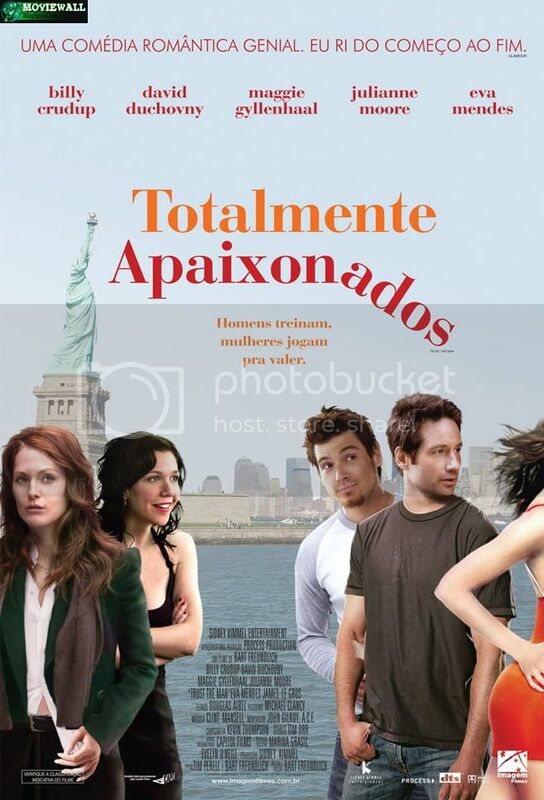 Starring: Julianne Moore, David Duchovny, Billy Crudup, Maggie Gyllenhaal, Eva Mendes. Release Date: September 8th, 2006.